Very impressive performance by the Section 9 wrestlers who headed up to Union College this weekend to compete at the 2018 Pop & Flo Mini Men Nationals! 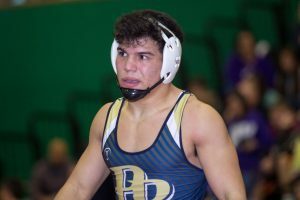 Pine Bush’s Shaun Burgos went 4-0 and was the champion at 160 pounds while his teammate, sophomore Tommy Askey, placed 2nd in a very tough 145 pound bracket. Section 9 was very well represented at 132 where Onteora’s Nicholas Ross took 2nd place and Washingtonville’s Tom Maddox placed 3rd. Rondout Valley’s Nikko Walsh went 3-2 and placed 3rd at 106 pounds. Washingtonville’s Andrew Marchese took 2nd place at 100 pounds in the intermediate division. Great job Section 9!